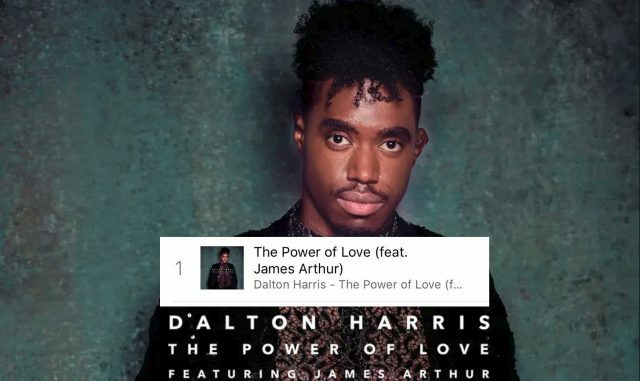 Dalton Harris winner’s single Power of Love with 2012 X Factor winner James Arthur has soared to #1 on UK iTunes Top 100 in less than 2hrs after its release. The single was released immediate after Harris was named the 2018 X Factor Winner on Sunday, beating Scarlett into second place. Anthony finished in third place. The 24-year-old now has the Christmas Number One spot, with his version of Frankie Goes To Hollywood’s hit track The Power Of Love, with proceeds being donated to children’s hospice charities, Together For Short Lives and Shooting Star Chase. Dalton has been the highest charting X Factor act on iTunes, with four of his songs entering the iTunes Top 30 so far, including I Have Nothing, Creep and California Dreamin’, while his Big Band Week performance of Beyoncé’s Listen peaked at No. 15, the highest peak of the series.